Who doesn’t love a crazy hat? And we all enjoy being creative. Combine the two and Viola! You have crafty Party Hats. 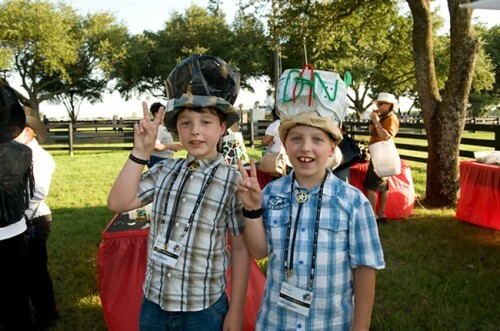 Step up to the Hat Bar and choose from paint, ribbon, glitter, feathers, beads, recycled items, and more. Make your hat as unique as you are. Then, see how crazy or elegant all your friends’ party hats are. Party Hats always bring out the silly kid in everyone. To reserve Party Hats at your next party or event, fill out our Request a Quote form, and we will get back to you!